IM. 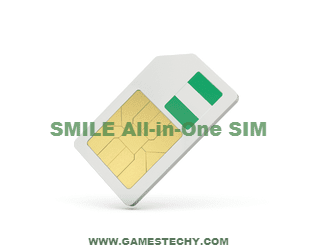 The new Smile All-in-One 4G LTE Sim is designed to allow customers to connect and enjoy free Smile to Smile voice and video calls, to any local operator. The package which costs not more than N3000 has a validity of 30 days and comes will lots of features. 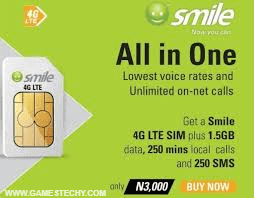 Other benefits of using the offer include 30 days access to social network sites, 30 days access to browsing, 30 minutes + 30 SMSs to local numbers available on activation of SmileVoice app.